Originally, there were 4 partitions on my hard drive, but suddenly Computer just shows 3, and partition F disappeared. Is this partition lost or just hidden somewhere? If hidden, how to show hidden hard disk partitions in Windows 7? Hiding some content from any unwanted person means you really have something sensitive data and don’t want to share that with others and this can be also done by hiding your entire Disk Drive! 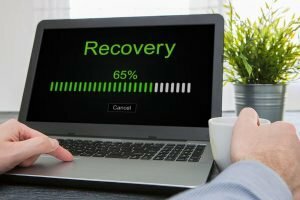 Previously we had already shared that how you can use your command prompt to clean your computer, to wipe out data from the restricted flash drive, but today we are going to share some more high-end trick in which you can even hide your any windows local drive with the help of Command Prompt. Today’s generation everyone having a computer with their sensitive and valuable data in which they really do not want to share that with any intruder or to any unknown person! however, several people in the world are still unaware of this trick that how can your hide your Local Disk Drives so that you can get yourself secure! The features are not very hard to apply! just following the simple commands in which you just have to select which drive at first you want to hide. Follow the below steps! Note: This process simply hands-free, you can anytime change your drive visibility to on or off from the command prompt! Already tested and worked well! your data will not be harmed while doing this process! Step1: Select which drive you want to hide and for that go to your My Computer and see the name of that drive, Example: G, the drive after selected, from the windows start menu right-click on CMD and run as administrator! and here is the command prompt window appear! 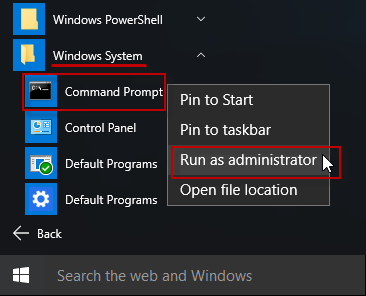 Step2: Now on CMD type Diskpart and hit enter, Next popup will appear click on yes, soon the new Command prompt will be displayed from where you have to start typing and following the below steps! Step3: Now to see all the drive connected to your computer Type List Volume you will see all of your online drives! And select which one you want to hide in here we have selected G drive to hide. You are done at this point of hiding the letter but now let’s move to another section on how to Unhide the same drive! Now Unhide your Same hidden drive! Step1: Just follow all above steps and after Typing Remove Letter G in steps 5, Type Assign Letter G to unhide the same! in the next type! We are done in both the feature, Hiding and Unhiding the Windows local disk drive. Today we have shared How To Hide Or Unhide Your Windows Local Disk Drive Using Command Prompt and if you have any doubt in any steps! feel free to comment below! This tutorial is only meant for educational purpose. It will help users to hide any sensitive data they don’t want to share with an unwanted person! Again, comment below if you have any problem in any steps, and more important is your data will not going to harm while doing this process!